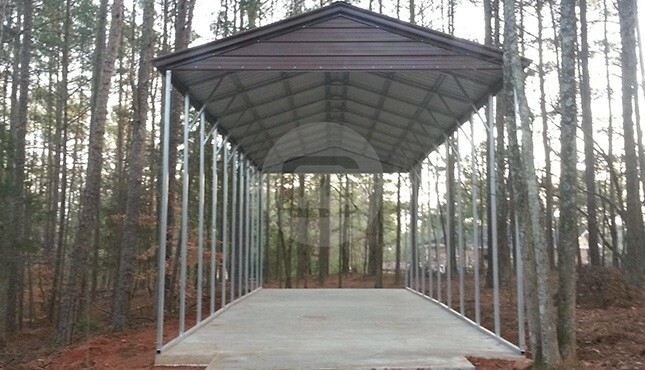 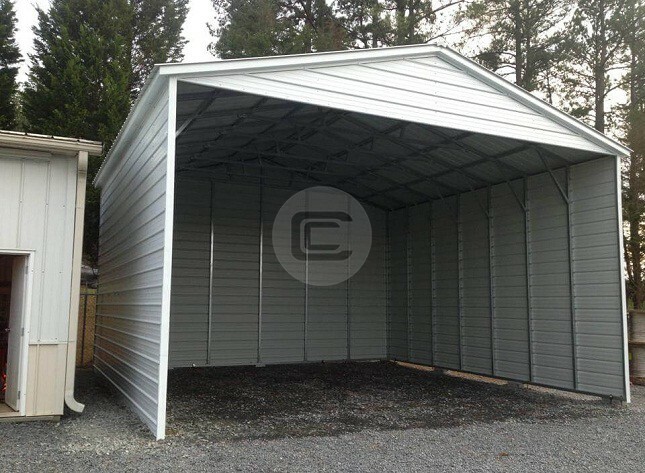 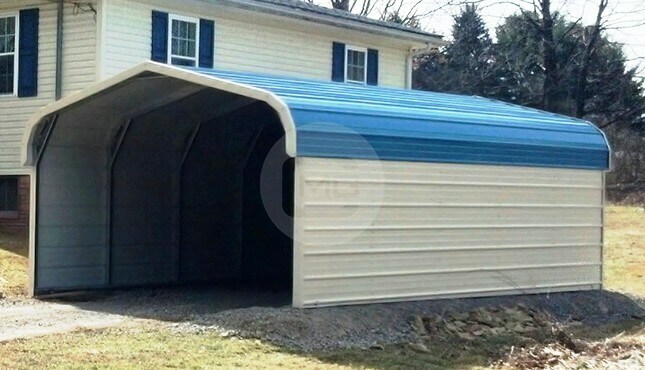 Shown above is a 20’W x 20’L x 7’H two-car carport. 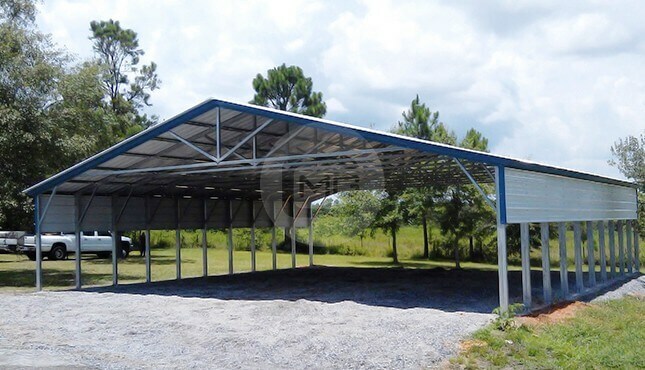 It features one 21’ long panel on each side and a regular roof, suitable for areas that experience minimal precipitation and winds. 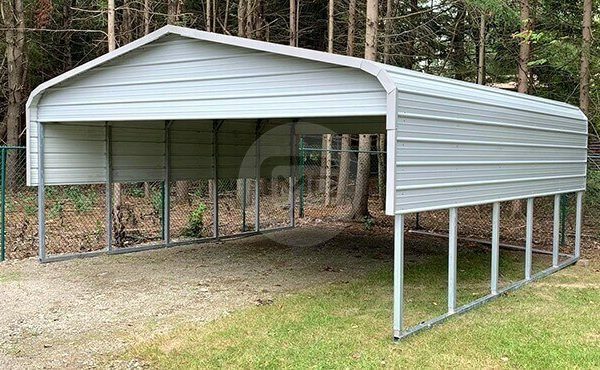 This unit is great for sheltering one or two vehicles, along with any outdoor equipment you may need to protect from the elements. 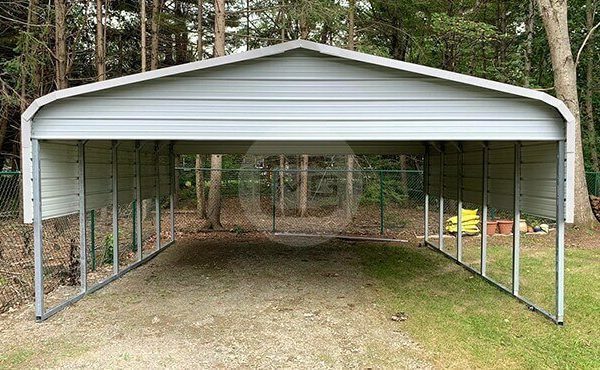 You could add a few picnic tables for a nice, shaded area to enjoy lunch with family and friends, or maybe add paneling for a fully-enclosed garage. 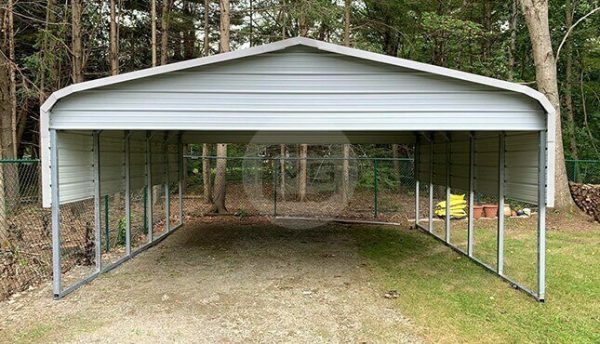 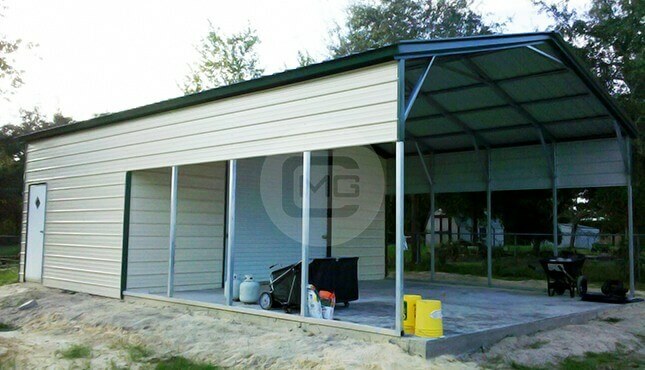 We do provide FREE delivery and installation with every purchase, as well as warranties for workmanship, paneling, and rust on both 12- and 14- GA steel framing. 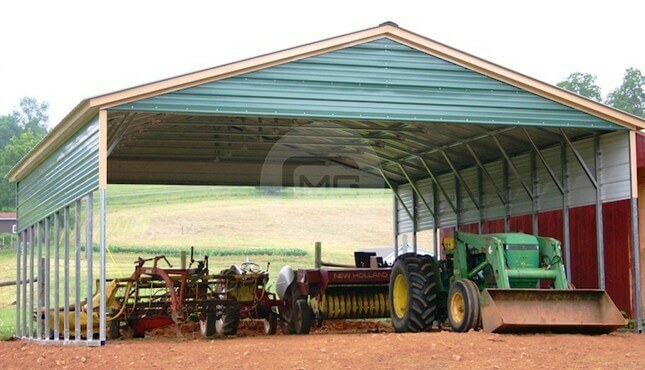 However, we DO NOT provide concrete, groundwork, or preparation. 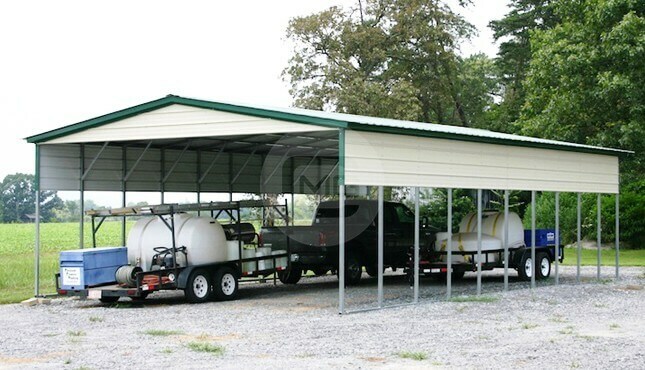 Your site must also be level before the scheduled delivery day. 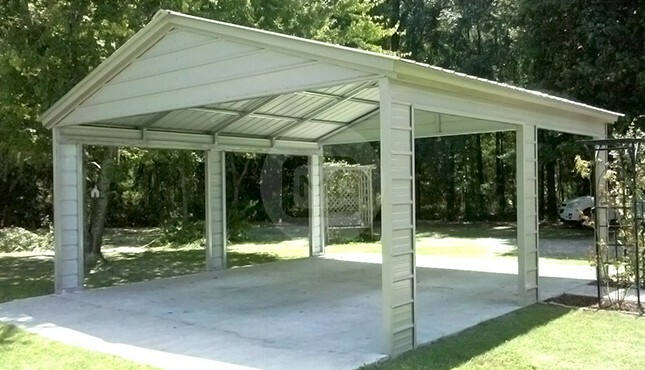 Call one of our friendly building specialists today at (980) 321-9898 and give them this item number for a quick quote: RRC20207.